Varna, Bulgaria - May 29, 2015: Man Orders Uber X Through His.. Stock Photo, Picture And Royalty Free Image. Image 43260445. 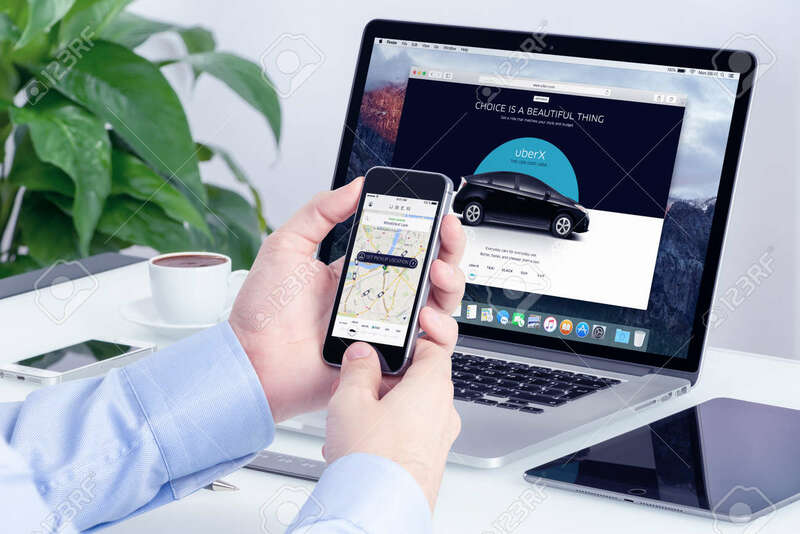 Stock Photo - Varna, Bulgaria - May 29, 2015: Man orders Uber X through his iPhone and Macbook with Uber website on the background. Uber Technologies Inc. is an American international transportation network company. Varna, Bulgaria - May 29, 2015: Man orders Uber X through his iPhone and Macbook with Uber website on the background. Uber Technologies Inc. is an American international transportation network company.